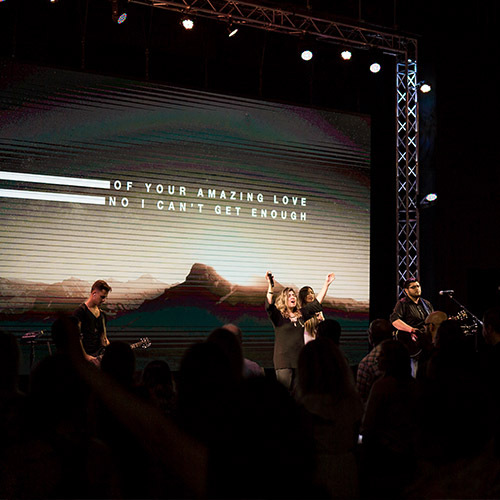 City Church, led by Pastors Jerry & Tami is a non-denominational Christian church that has been committed to serving and loving people in San Diego, Mexico, and abroad since 1998. We’re known for a warm, friendly atmosphere, life changing messages, live upbeat music, and radical generosity to the community. Jerry and his wife Tami are the lead pastors of City Church San Diego. Their love for Jesus and the community coupled with genuine desire to help people build successful lives, families and businesses is why they're such great mentors and pastors. Wisdom, humor and real life stories mark Jerry's life changing teachings every Sunday. Their vision is simple: to reach thousands of people with the love of Jesus. We know visiting a new church can sometimes be uncomfortable, but we want nothing more than to make you feel at home. If you choose to visit us, we promise to do our very best to make it the best experience possible! Each service to last just over an hour. New friends, no pressure, and lots of fun! We love kids. If you are planning on bringing your children with you, we think that’s awesome. Taking care of your children & providing an amazing experience for them is one of our greatest values. You’ll want to give yourself a few extra minutes, especially if you’re a first time guest, to get your kids checked into their respective areas. This also gives us the opportunity to meet you personally, orient you to our children’s environments and to assist your family in any way possible to make it a remarkable experience for everyone. We want you to be able to fully focus on God and have an experience with him each and every worship service. We dim the lights to help build an atmosphere focused on him, and not the people around you. You'll see many people raising their hands, and singing out loud, you're more than welcome to participate as much or as little as you're comfortable with! We never pressure anyone to do anything they're not comfortable with! The message is straight out of the bible – taught in a practical, applicable way with relevant analogies and a genuine sense of humor. While our lead pastor speaks the majority of the time, we love to also feature guest pastors, and some of our other staff pastors! Every Sunday we have classes for jr. high and high school students! It's the perfect place for them to make new friends and learn practical teaching bassed on Biblical truth!